What is Quantum Neuro Reset Therapy? Quantum Neuro Reset Therapy (QNRT®) , is a unique therapy based on the knowledge that unresolved emotional, physical, and sexual trauma, shocks, and negative life patterns lead to imbalances in our lives, eventually causing anything from distorted relationships to major disease. Emotional shocks and traumas one experiences create challenging dynamics in the nervous system. These events or life patterns simultaneously imprint in the brain, tissues, and psyche. The information is often buried in the subconscious mind and leads to dysfunction in the way one perceives and navigates through life. These negative events and traumatic experiences also changes the way the body functions, leading to problematic relationships with self and others, imbalances, primary reflex retention and disease. QNRT® works to resolve emotional shock, trauma events, incongruent core beliefs and negative life patterns. By letting go of limiting patterns and emotional wounds, relationships transform, physical discord may be eliminated and overall well-being is improved. QNRT® works to release individuals with Adverse Emotional experiences (ACE) which have been identified through evaluating the stress factors of the brain/ body connection. It assists to reprogram the coping mechanisms which have been built from the Adverse Emotional Experiences. These ancillary patterns are survival methods, however, results in false beliefs, negative life patterns and/or unwanted core drivers which lead to disempowerment and unhealthy body, mind and spirit. 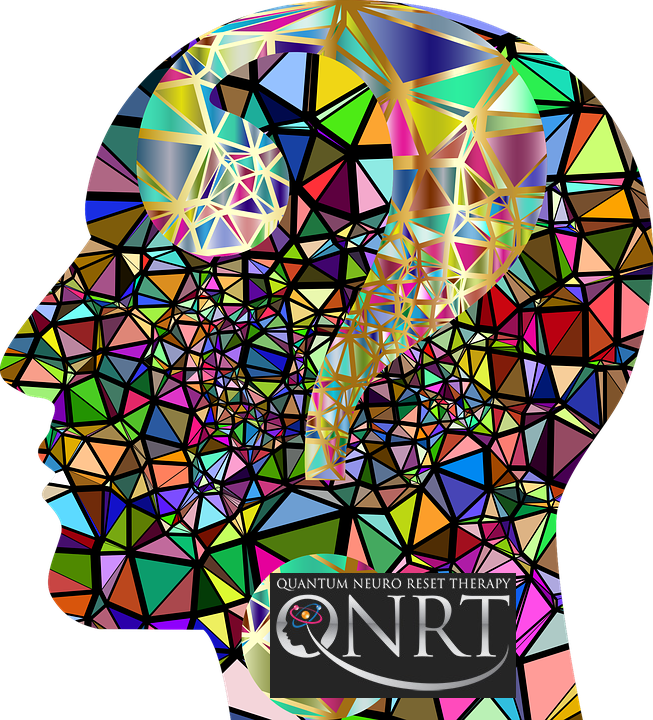 QNRT® resets the brain and neurological pathways to all areas of the body which facilitates healing from the traumas lodged within the nervous system. This is one of the most important discoveries with helping clients overcome their individual hurdles and making long-lasting, positive, healthy changes. Most of us have experienced an “Adverse Emotional Stress”, either directly or indirectly, during our life time. QNRT® associates common experiences such as sleeplessness, anxiety, nervousness, fatigue, soreness, and gastrointestinal complications for example, with past adverse emotional stress events. This is a prime example of the Mind / Body connection. The principals of QNRT® are supported by the findings of the ACE (Adverse Childhood Experiences) Study* as it relates to future symptoms, behaviors and illnesses. According to the ACE Study, children who have experienced specific adverse emotional experiences were prone to a multitude of health and social problems continuing into adulthood. Health issues include heart, liver and respiratory concerns. Mental issues may include sadness, anxiety and anger, as well as high risk social behaviors such as drug abuse, alcoholism and early initiation of sexual behavior. The Ace Study concludes that related issues can occur much later in life, long after the Adverse Emotional Experience occurred. This Study and many studies like it demonstrate the Brain / Body connection to our overall health. Our bodies were not designed to sustain a high level of stress continuously over an extended period of time. Simple biological functions begin to deteriorate and experience reduced performance based on the emotional overload. The balance between Brain and Nervous System, according to QNRT®, is a major factor in obtaining and maintaining good health. QNRT® can provide astonishing resolution and healing while improving your overall quality of life. If you want to change the way you see yourself and your life, transform your marriage/partnerships and other relationships, let go of things you have been unable to accept, and link how the illnesses in your life can be rooted in childhood wounding, trauma, and self-devaluing beliefs, QNRT® will benefit you. At some point in your life you will pick a Core Driver used, as a coping mechanism based on an emotional stress or trauma. These develop in childhood due to circumstances or situations that we can’t control or change. The Core Driver becomes the emotional coping belief to survive or self-preserve. As an adult, Core Drivers take us away from the truth about ourselves creating unhealthy self-images (false beliefs). Because of years of reinforcement, the subconscious mind will continue to hold on to this false belief at any cost. We begin to filter all life circumstances through this Core Driver so that the events make sense making our responses automatic and predictable. Core Drivers can be very subtle yet can control us and our choices in all areas of life especially in our relationships and careers. Core Drivers create our habits, thought responses, filters and many times run the show. Core Drivers are usually passed down from generations of family members who had them. While we do not assign blame to anyone, we do “ACCEPT RESPONSIBILTY” for changing these faulty automatic responses to life. Remember that this has been a protective wall built and it will come down only when you give it permission to do so. Powerless – You feel like you are a victim of your circumstances and that there is no way out. It seems like others are constantly trying to control and manipulate you. It’s hard for you to have boundaries and structure. Changes are difficult and achieving goals can be very challenging. You feel incompetent and work extra hard because success is very important to you, yet you feel inferior to others no matter what you accomplish. You try to find ways to protect yourself but you often fail. Physically this affects your Thyroid which regulates metabolism. Unreal – You feel like you have to be someone other than who you really are to be accepted by others and you try to prove to others that you deserve their recognition. You tend to over analyze yourself trying to discover who you really are and how you fit into this world. Physically this affects your Thyroid relating to depression. Unsafe - There is a feeling that something is always about to happen that you can’t control. You feel like you can’t trust anyone, so you become over protective of everything and everyone. There seems to always be something in your life that causes you to feel overwhelmed and under protected. Physically this affects your Adrenal Cortex relating to anxiousness and/or insomnia. Unsure – You feel like life is unfair and people don’t understand who you really are. It seems like people don’t trust you or respect you. You feel like you are a mistake and you don’t know why. Life can be confusing and it is hard to be open and honest about your feelings. You expect justice yet you tend to be critical when others make mistakes. Physically, the Adrenal Medulla is affected contributing to fatigue and restlessness. Nothing – You feel like no one really cares for you. At times you feel like you do not exist or you’re not sure who you really are. When you’re around others, you feel like you have to try extra hard to be recognized and it seems like no one really cares about your feelings. You tend to isolate and don’t like yourself, sometimes you would rather die than continue feeling this way. Physically this affects your Hypothalamus which regulates your weight. Unlovable - You feel unloved by others and always left out. It feels like you are not welcome. You don’t seem to really fit in anywhere, that you can be uninteresting, plain and dull. You will love others to the extreme but find it difficult to receive it. You tend to stuff your emotions because it feels your feelings don’t matter to anyone. When you don’t feel worthy of someone’s love you tend to self-reject and isolate. Physically, this affects your kidneys and increases inflammation and pain. Unworthy – It feels like you should not expect anything from others like love, compliments, gifts or appreciation. It seems like you have no real value to others and it’s hard to trust someone when they say something nice. You feel like you’re always last and people don’t find you interesting. You work extra hard but you tend to isolate and feel that you can’t measure up when you’re around others. Physically this affects your Hypothalamus and Pituitary which leads to negativity and weight gain. Unwanted - You don’t feel welcome and you don’t seem to fit in anywhere. You have a sense of always being lost and alone. It’s hard to have a close connection with anyone. You’re always searching for a feeling of acceptance. Your focus is on taking care of others and you neglect your own needs. Physically this affects your Kidney’s leading to fluid retention that can contribute to high blood pressure and/or weight gain. Not Whole - You feel like a piece of the puzzle is missing and you can’t find it. You’re constantly searching for the thing that will make you feel complete. At times you feel insignificant but integrity and recognition are very important to you. You might appear to have it all and have it all together but you feel like an empty shell. You feel like you have lost your spirit and that you’re disconnected from God and others, especially when there is chaos in your life. It’s hard for you to move forward and you’re constantly evaluating yourself trying to figure out why. You are afraid to get your hopes up and feel like things will never change. You keep others at a distance to protect yourself. Physically this can affect the glands of your Hypothalamus, Pineal and Pituitary. Symptoms related to these areas are hormonal imbalances, sleep disturbances, and weight issues. Defective child – You try to control your environment out of fear that you’ll lose control. When things go wrong you feel like it’s always your fault. You’re very hard on yourself when you fail at anything. At times you feel stupid and awkward, flawed and unfixable. You may find it hard to be motivated to finish what you started because you can’t do it perfect enough to please yourself. You will find yourself being obsessive about being perfect in some particular part of your life. When things don’t work out, you rebel and isolate, punishing and rejecting yourself. At times your anger gets the best of you which causes you to self-devaluate even more. Physically this affects the Hypothalamus, Stomach, and Small Intestine. Digestive symptoms can be related to this Core Driver. Defective Adult – It feels like you are mentally defective, emotionally crippled and just crazy sometimes. You feel doomed to always be this way and have fear about dying early. You can feel like you are just a bad person at times. It’s a challenge to complete things and you flip back and forth between projects without completing any. You don’t act your age and you can be obsessed with your physical appearance. Obsessive compulsive behaviors keep you stuck in a time trap. You want people to respect you but it’s hard to have integrity. You believe that everyone is judging your every move so you become a performer and people pleaser. Physically this affects your Adrenals and leads to fatigue, memory loss, irritability, joint and muscle pains and emotional break downs. Out of Balance – It feels like your life is nothing but chaos everywhere you turn. You feel that everything is out of control and it becomes hard to have a restful night sleep. It becomes hard to accept responsibility for your actions because this pattern appears that nothing works for you. Mentally you become easily thrown off course in your career and life directions. You offer solutions to others to help fix their lives but the same advice does not seem to work for you, over time a lack of success is overwhelming and resolving in a general sense of feeling inadequate. Physically this affects the Pituitary gland which regulates the body’s ability to rest and recover. Hormonal irregularities are common especially irregular or painful menstrual cycles if you are a female. Why is it that the things we fear in relationships or things we don’t want to happen usually do? Have you ever asked yourself why? And how do I keep this from continually happening to me? Self-Sabotage is very common. These behaviors can be completely devastating in relationships, personal life, business, marriage, social settings, and even to our self-esteem. The good news is these behaviors can be changed, although it will require effort on your part. If any of these five fundamental needs were not meet in your early development you will develop and use a set of coping mechanisms which form negative life patterns that cause self-sabotaging behaviors that ultimately result in doomed relationships. We all have these self-sabotage behaviors. Some we recognize and some we don’t but we are using them on a subconscious level every day. As a result, we establish a set of core beliefs to cope with the loss of one or more of these fundamental needs. Early on these core beliefs give us understanding of the world around us and serve us well by helping us survive in an abnormal environment. Yet as we mature these core beliefs become huge obstacles in our lives. Later on we set such rigid standards with these negative patterns that we use self-sabotage behaviors to verify our very own core beliefs. These behaviors can filter down to every aspect and fiber of our being. In doing so we find that the things we don’t want to happen to us seem to happen anyway. There are 12 specific negative life patterns that virtually cause all self-sabotage behaviors. They are predictable and will be repeated over and over until you break the pattern. 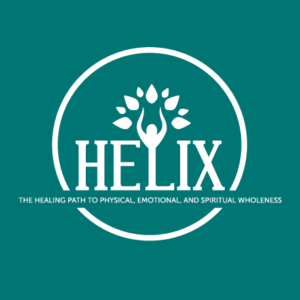 By going through an emotional release technique evaluation and treatment we will be able to identify at what age these patterns were first established, the circumstance, the situation, and the emotional conflict surrounding that age. 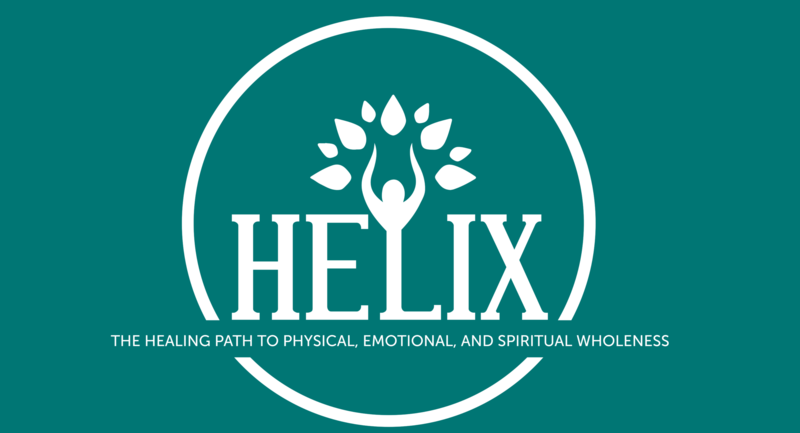 We will be able to tie in the core beliefs that were established to help you survive and you will currently understand how it no longer serves you. You will clearly see feel and hear how you use your coping mechanisms to drive yourself sabotage behaviors. Once the pattern is broken and a new pattern is built to replace the old one, your life will literally change. It’s rare to have all twelve but more common to have four or five. 12 Negative Patterns: Abandonment, Defective, Unlovable, Dependence, Emotional Deprivation, Entitlement, Failure, Mistrust Abuse Protection, Social Exclusion, Subjugation, Unrelenting Standards and Vulnerable. If left alone or not dealt with properly, the brain will be used as a weapon for self-destruction with a lifetime of unhealthy life patterns and misery.